Spinal Stability: To Brace or Not to Brace? The rise of functional training has been a boost for low-tech, handheld equipment that is relatively affordable for gyms, small studios and even most fitness consumers. A prime example are heavy ropes, which have become a staple of many workouts in the last decade. 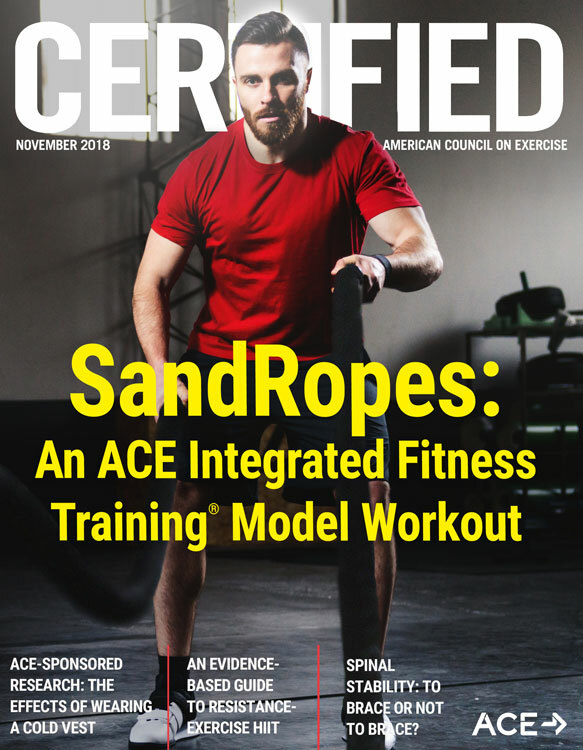 This article examines some of the research on the effectiveness of heavy-rope training, and includes a workout featuring the innovative SandRopes by Hyperwear—a heavy rope filled with sand—using the ACE Integrated Fitness Training® (ACE IFT®) Model as a guide. In a world that has mostly engineered the need to move out of life, we all need to move more and occasionally move more intensely (i.e., exercise). Given the fact that so many people live relatively sedentary lives, any form of fitness that gets them moving with a challenge is to be applauded. But once we have cleared the first hurdle of consistently moving, it is worthwhile to consider if our “intense movement” is applicable to our daily lives. Functional training and high-intensity interval training (HIIT) are both incredibly popular, but somewhat at odds with one another. The challenge is that as intensity rises, fatigue rises quickly as well, which leads to a higher likelihood of loss of technique that sets the stage for injury potential. One excellent feature of heavy rope training is the visual and kinesthetic feedback the rope gives you on the quality of the movement. You can see the quality (and intensity) of the movement reflected in the wave pattern of the rope. 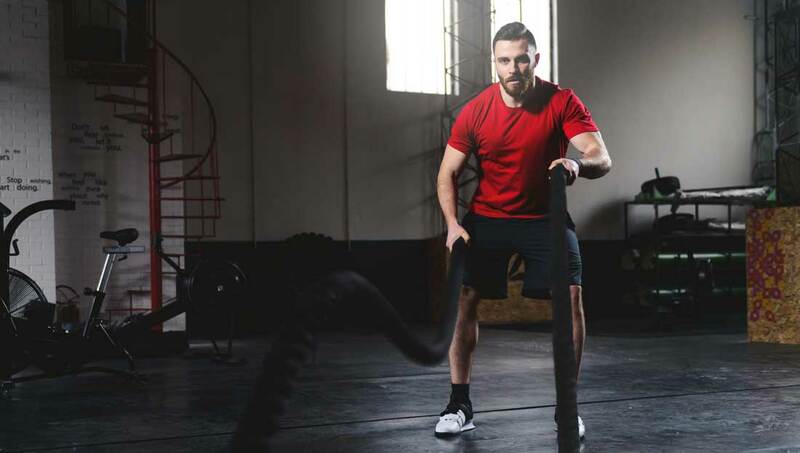 You can also easily feel the difference between efficient movement—where you feel like you are “one with the rope”—and inefficient movement, which feels more like you are fighting the rope. What Can Heavy Ropes Do for You? The obvious benefit of rope training is the coordination involved in most heavy-rope exercises. Coordination is a secondary fitness characteristic in that we do not often directly focus on developing it. However, we need coordination to do just about everything—whether you’re walking, typing or texting, or performing squats and biceps curls. Coordination is always there in the background of everything, including the primary fitness characteristics of strength, power and endurance. What does the research say regarding the effect of heavy-rope training on the primary characteristics of fitness? Heavy-rope training provides improvements in muscular strength and endurance in the arms, and elicits the high heart rate and energy expenditure necessary to qualify as a vigorous workout according to current physical activity guidelines. A group of male volleyball players, aged 18 to 25, was placed on an eight-week heavy-rope training program consisting of three sessions per week, each lasting 45 minutes (Raaj and Rosario, 2017). Interestingly, although the study authors do not mention the work-to-rest ratio used or the number of sets performed, they do mention two exercises: the “double whip” and “double alternating whip.” These two exercises are commonly referred to as the “slam” (both ends of the rope—and arms—move up and down together in a larger movement or wave) and “alternating waves” (each end of the rope moves up and down in opposition to theother—typically a smaller, faster amplitude of wave). After eight weeks, the athletes showed improvements in arm strength (as measured by dips) and muscular endurance (as measured by the sit-up test.) While the sit-up test would not be my first choice when measuring muscular endurance, it is interesting that this test revealed improvements. An essential element of training with heavy ropes is to create the energy for movement with your core and legs while allowing your arms to simply direct where the energy goes. One way to picture this is to think of your body as a car—your arms are the steering wheel and the rest of your body is the engine. The energy for movement comes not from the steering wheel, but the engine. Therefore, improvements in abdominal strength endurance is a general indicator of proper rope-training technique. It's worth noting that, although this particular study focused exclusively on arm strength, heavy-rope training is known to be an effective workout for the upper body as a whole. Another study consisted of a 10-minute rope-training workout comprised of 15-second intervals of rope training (double-arm waves, or slams) followed by 45 seconds of rest (Fountain and Schmidt, 2013). This cycle was repeated for a total of 10 repetitions. The researchers measured heart rate, oxygen uptake and excess post-exercise oxygen consumption (EPOC). Peak exercise heart rate was 178 bpm, which equated to approximately 94% of age-predicted maximum heart rate. The average exercise heart rate was 163 bpm. Total average energy expenditure was 112 kilocalories. The majority of energy expenditure was attributed to aerobic exercise (87 kilocalories) versus anaerobic exercise (25 kilocalories). The subjects’ average EPOC was 13.4 minutes. These numbers are significant given that the total time spent exercising was 10 x 15 seconds (150 seconds, or 2.5 minutes). The heart-rate numbers are quite high and the average calorie burn was more than 100 kilocalories for less than three minutes of work. The SandRope is 10 feet long, 2 inches in diameter and features a connector loop at each end. It comes with a carabiner and webbing with a collar attached that allows you to create an optional handle at the end of the rope. The design of the SandRope makes it possible to perform high-intensity heavy-rope exercises without the need for an anchor (making it ideal for smaller spaces). And, because the sand shifts within the rope, it also can be used as a dynamic free weight in a variety of power-generating movements as well as for traditional exercises with a safe, dynamic, more flexible piece of equipment. The SandRope is available in 15-pound and 30-pound sizes. A great feature of this weighted rope is that it is possible to do the entire workout featured here with a single rope. In other words, if your budget is limiting you to a single rope, you can still provide your clients with an effective workout. Making that connection between movement training and real life is at the core of the ACE IFT Model. 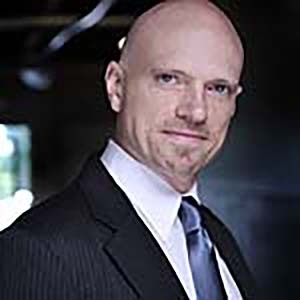 The Functional Movement and Resistance Training component provides a framework for developing stability or mobility as appropriate in a specific area of the body (phase 1), integrating it into a full-body movement (phase 2), adding external load and creating a stimulus for strength gains (phase 3) and increasing movement speed to develop bodily control and power (phase 4). The following workout features two SandRopes (although, as mentioned, can be performed with just one), was designed using the ACE IFT Model as a guide, and highlights each of the five movements listed above (see the sidebar, ACE IFT Model Movements for Each SandRope Exercise, below). This SandRopes workout uses time-based sets. Timing is noted in the following format: work:rest in seconds. Note that in the second study described earlier, the work:rest used was 15:45. This is a generous amount of rest by most HIIT standards in that the rest is three times as long as the work. By contrast, this workout uses rest that is either shorter or equal to the work interval. Most of the included exercises would be classified as falling within phase 4 of the ACE IFT Model due to the speed of movements. Additionally, the exercises are grouped together for convenience according to the anchoring status of the rope(s). The first group is “Free,” meaning the rope is not anchored, while the second group is “Anchored,” meaning you will use the ropes anchored to a fixed, stable object. Warm-up: Perform each of the following three exercises for 30 seconds each. 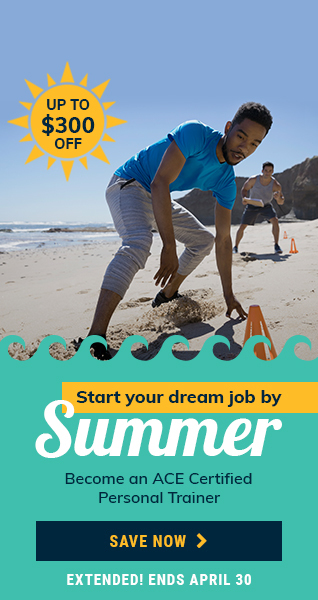 Free Circuit: These exercises are performed with the SandRopes unanchored. Repeat the circuit twice using 30:20 timing. Double the rope over. Hold the ends in one hand and choke up the grip on the other hand to near the middle of the rope. Double the rope over. Hold the middle of the rope with one hand and with the other hand put the pinky and ring fingers in one connector loop and the middle and index fingers in the other. Use the same grip as the Front Chop. Use the same grip as the Tornado. Perform an asymmetrical SandRope hold in the overhead press position (see video). Anchored Super Sets: These exercises are performed with the SandRopes unanchored; use both ropes unless noted. Perform two sets of each super set and then move on to the next one. Use 20:20 timing. Total time: Using the work:rest numbers and the total number of sets in this workout—not including the warm-up—this workout clocks in at just under 17 minutes. Allowing a few minutes to set up and switch from the free to anchored SandRopes, you can expect this workout to take about 20 minutes. Fountaine, C. and Schmidt, B.J. (2013). Metabolic cost of rope training. Journal of Strength and Conditioning Research, 29, 4, 889-893. Raaj, K.M.P. and Rosario, C.K. (2017) Impact of battle rope training on selected physical fitness components and performance variables among volleyball players. PARIPEX Indian Journal of Research, 6, 4, 579-580. In one study, researchers concluded that during a vigorous rope-training workout, participants burned an average of _______ kcals for less than three minutes of work. Which of the following exercises is NOT considered a bend-and-lift movement?